Confession: I rarely blow-dry my hair. It’s time-consuming and the heat creates brittle strands in its path. I might be inspired to consider doing it more regularly, however, now I’ve tried Amika’s Power Cloud Repair + Smooth Dryer ($200, Loveamika.com), which manages to eliminate both problems. Not only does it do a stellar job drying your locks, it also allows you to customize your hairstyle without the aid of a flat-iron or curler. Think styled hair in five to ten minutes flat (depending on the thickness of your hair)—no kidding. The dryer provides two styling options. The positive ion setting creates an at-home blowout with voluminous locks, while the negative ion setting removes frizz for silky straight strands. Honestly, I never thought I would be able to blow-dry and walk out the door, but this bad boy has changed my tune. My straightener and curling iron have been having some serious downtime. 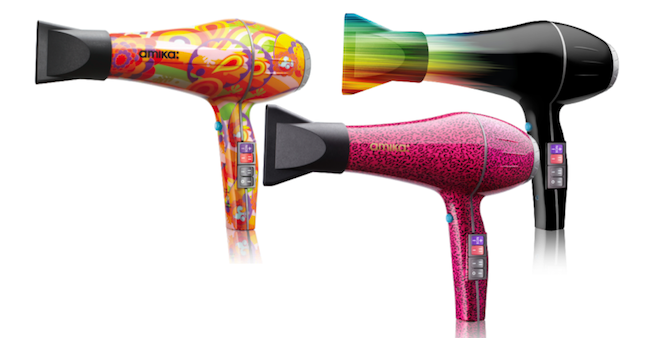 Plus: If your hair is prone to breakage and damage like mine, you will love the fact that this dryer has ceramic and tourmaline components that absorb most of the heat. For more tricks to prevent heat damage, check out our tips here.